As you likely know by now, researchers haven't yet found a way to reverse Alzheimer's disease. Prevention is currently the only effective tool we have. But the good news is that we're regularly finding new steps we can take to help ward off dementia. And according to new research, one of those steps is both easy and delicious. 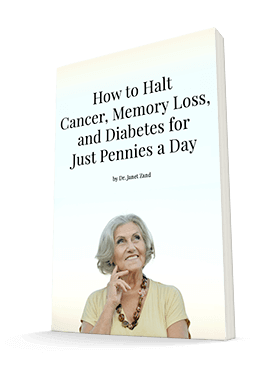 For this study, conducted at the University of Cincinnati, the researchers recruited several participants (average age 76) who were beginning to show signs of age-related cognitive decline. They used the Clinical Dementia Rating (CDR) to measure their cognitive decline. The CDR gathers information from both the patient and someone who knows the patient well, such as a spouse or child, regarding the level of cognitive decline. Scores range from no impairment to mild decline to moderate or severe dementia. The participants in the study all had mild decline. For 12 weeks, the participants drank varying amounts of wild blueberry juice ranging from 444 mL/day to 621 mL/day (15-21 oz) according to their weights. The researchers gave the participants memory tests throughout the course of the study and compared their results to those of a group who drank a placebo beverage. They found that the participants who drank the wild blueberry juice showed improvements in memory function compared to the placebo group. 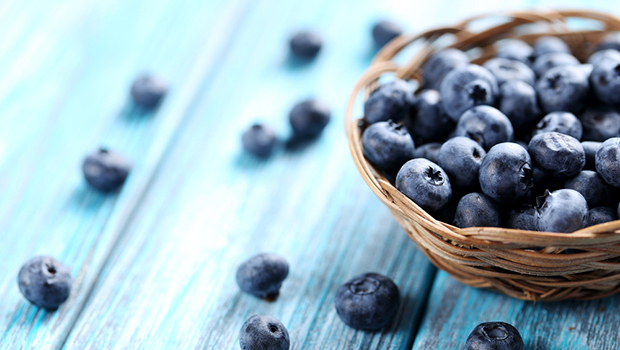 This indicated that blueberries can help bolster neurocognitive function in people who are at risk of developing dementia. They found some additional benefits as well: the participants demonstrated improvements in mood as well as lower fasting glucose levels. It's not surprising that they got such great results. Blueberries are full of antioxidants, polyphenols, and anthocyanins, which are particularly associated with improving memory function and glucose disposal. And as more and more research uncovers the connections between blood sugar and cognitive impairment, any step you can take to keep blood sugar at a healthy level is likely to benefit your brain. Blueberries are great to eat regularly. But it's best to choose organic when possible, as berries are often heavily sprayed with pesticides. That can be pricey, particularly when blueberries aren't in season. An easier way to ensure you get some blueberry benefits every day is by taking Advanced Greens Formula. Don't let the name fool you — this formula contains a total of 27 superfoods and nutrient sources! Some of them are indeed green, like kale, broccoli, and artichokes. But it also contains a variety of berries, including blueberries. You can mix this formula into juice or a smoothie. If you want to get a double dose of blueberry's dense nutrition, you could add it to a blueberry juice like they used in this study.